Companies that move their profits overseas to avoid tax will be subject to a "diverted profits tax" from April, the chancellor has said. 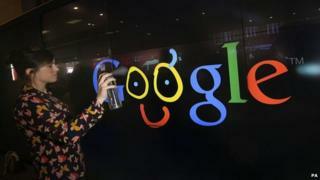 The so-called "Google Tax" is designed to discourage large companies diverting profits out of the the UK to avoid tax. "Let the message go out: this country's tolerance for those who will not pay their fair share of taxes has come to an end," Mr Osborne said. It comes after last month's revelation that HSBC colluded with clients of its private bank to evade tax over many years. Many multinational companies make millions in the UK, but have their headquarters in Ireland where the corporation tax rate is much lower, meaning they pay a lower rate of tax on those profits there. Companies such as Starbucks, Apple and Amazon, among others, have come in for significant criticism in recent years over the amount of corporation tax they pay in the UK. They are all currently being investigated by the European Commission over their tax arrangements. In 2013, it was revealed that Starbucks paid nothing in corporation tax between 2009 and 2012, despite sales of £400m in 2011, and had only paid £8.56m in corporation tax since it began trading in the UK in 1998. Starbucks maintained it had made a loss in those years when it paid no corporation tax. Under the new tax regime, companies with an annual turnover of £10m will have to tell HM Revenue & Customs (HMRC) if they think their company structure could make them liable for diverted profit tax. Once HMRC has assessed the structures, and decided how much profit has been artificially diverted from the UK, multinationals will have only 30 days to object to the 25% tax. The European Commission has also been investigating the corporation tax arrangements of several European Union (EU) member states to determine whether those tax arrangements amounted to state aid.